We offer design services anywhere in the world, and installation/maintenance services in New York City and the San Francisco Bay area. The first +Farm we designed and built in 2014 for Phillips Program, a special-needs school in Washington DC. We also developed the accompanying STEM curriculum. Built by Georgia Tech students in their campus greenhouse, 2017. We planned LinkedIn's InDay, their employee service day. 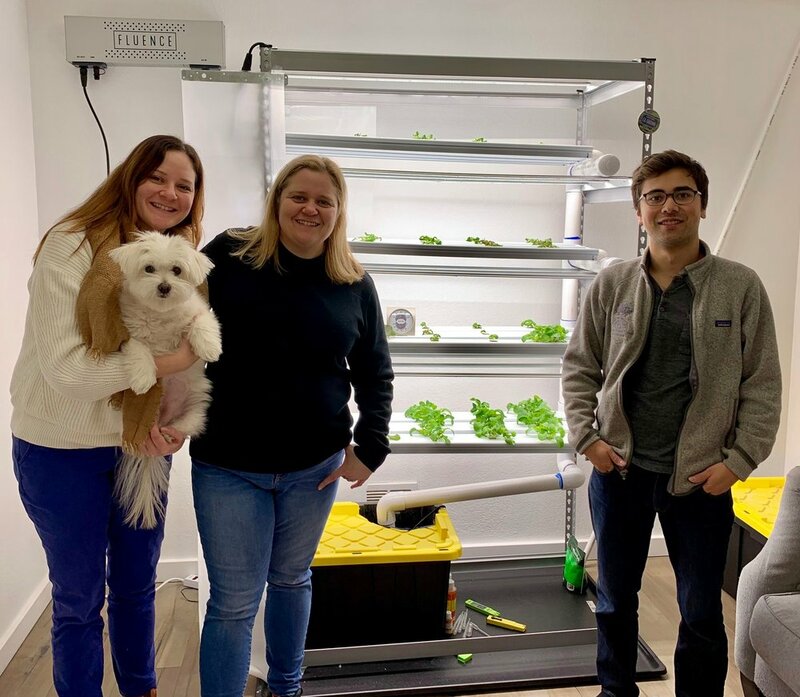 The event involved teaching LinkedIn employees about hydroponics and building several +Farms for the food pantry at CDSC (Child Development Support Corporation). Agritecture storefront office. Also exhibited at NYC AgTech Week 2016. Built by a Brooklyn, NY resident at their apartment. 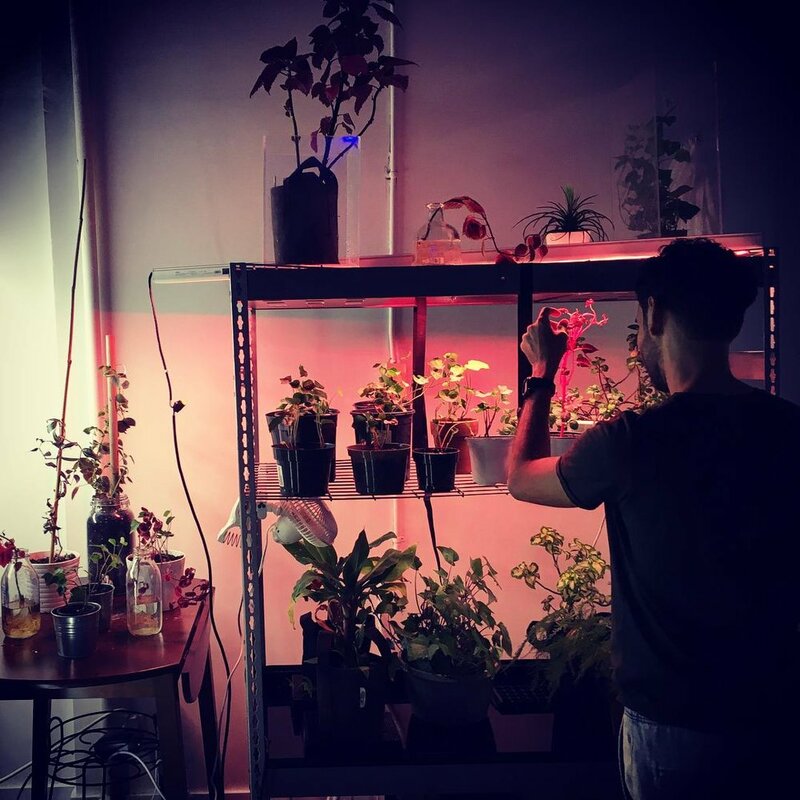 Built by Agtech-X, an urban agriculture co-working space that opened in Brooklyn, 2017. Installation for Project Farmhouse, a sustainability center and event space operated by GrowNYC. Collaboration with HortLED. Green Skies Vertical Farm in Oakland, 2017. 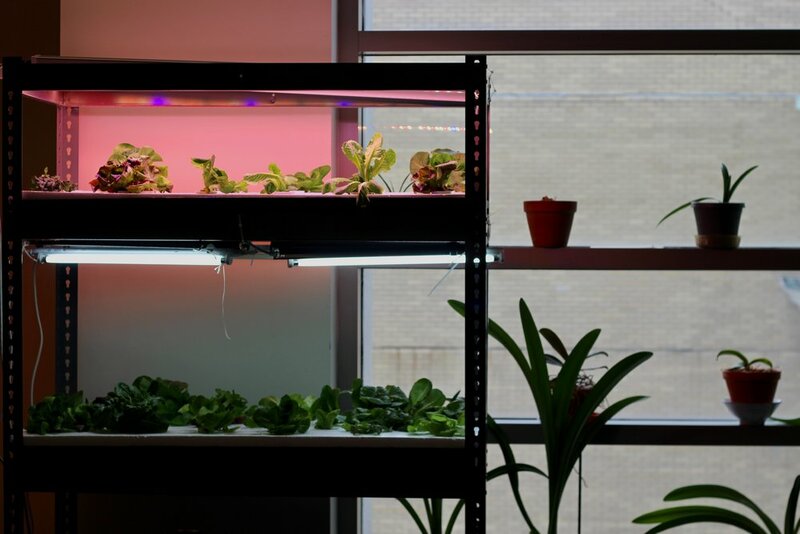 Dr. Greenhouse, Inc., specializes in controlled environment agriculture, engineering HVAC systems for indoor farms. So, when they moved into their new office last summer, they decided to build a +Farm for educational purposes, for good Feng Shui, for team-building, and for the promotion of our services. Seeds & Chips Conference 2017 in Milan, Italy. We collaborated with Music of the Plants to create a sonic biodome installation. At New York Maker Faire 2017 with Stephen Ritz. Creative installation for The Sonic Jungle's opening night event, 2017. Los Angeles Agritecture Workshop 2017. After the workshop, the +Farm was donated to Edwin Markham Middle School and is currently being managed there by Community Healing Gardens. Brooklyn Law School's "Growing Greens in the Grid: The Future of Urban Agriculture in NYC" event. Creative installation for The Sonic Jungle's Spring Salutations event, 2017. Installation for Earth Day New York 2017 in Union Square organized by Earth Day Initiative. Exhibited at Maker Faire Bay Area 2017. Exhibited at the Aglanta Conference 2017 in Atlanta. NYC Ag Collective's Fresh in February event at Honey's bar in Brooklyn. CONTACT US FOR CUSTOM GUIDANCE.